From thumb (whoo, rare thumb pictures!) to pinky this is: Essence - Spot on, Kiko - 320 Malva beige, H&M - Liberty girl, Kiko - 339 Fioraliso and Herome - New Delhi. 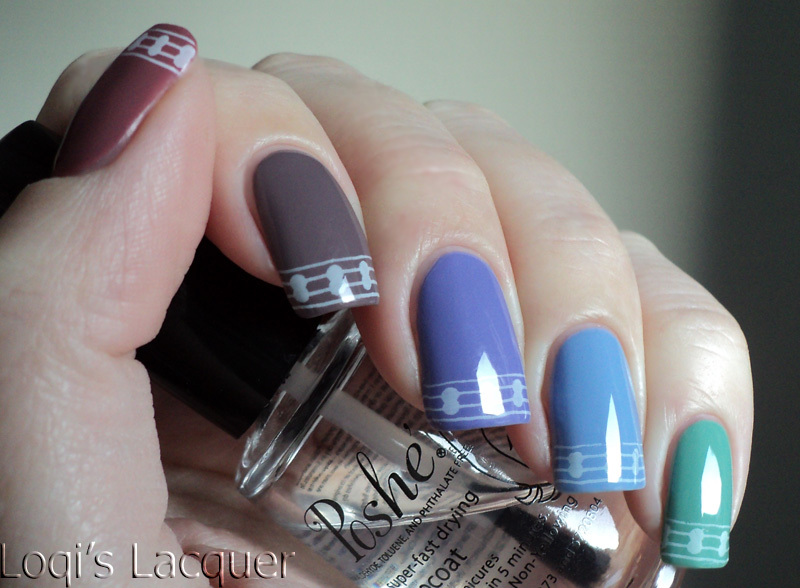 And to make things more uniform I stamped a funky french with konad white and a pattern from bm203. I love it!! Great colors! i like all of them !! 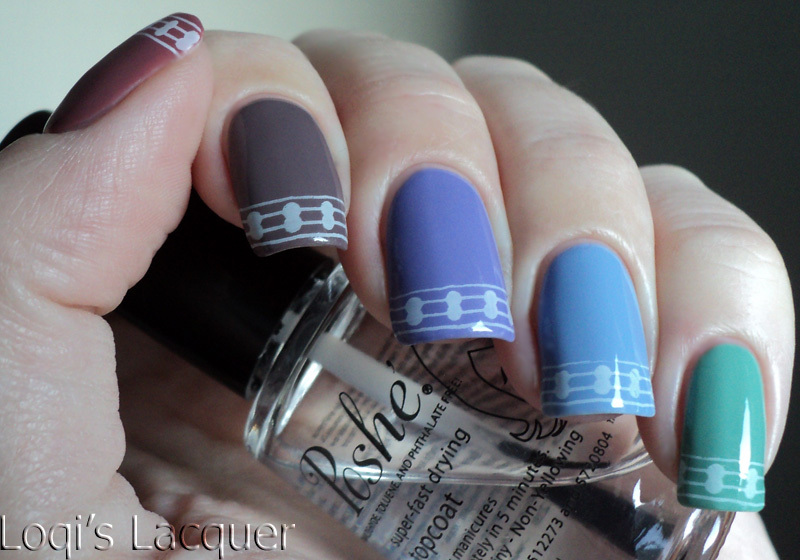 I really like this mani, the colors really compliment each other! Very cute! I think these colors go very well together.